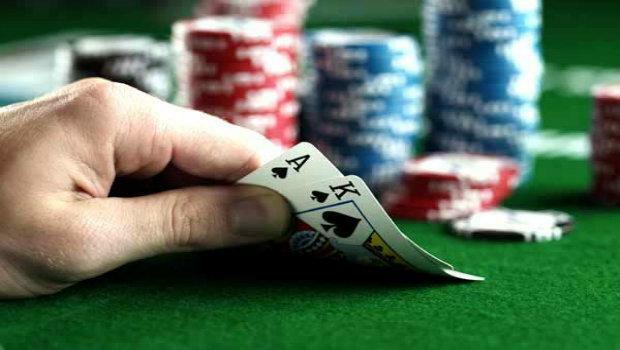 In Texas Hold’em Poker you’re required to place a bet before the starting flop, so it’s always worth considering how strong any two starting cards are against the different two-card combinations your opponents may have. Once you familiarise yourself with the range of possible match-ups and the chances of them being dealt, you’ll be in a better position to decide how much to bet before the flop. Here are some of those vital statistics that will help you get your games off to the best start. The first thing to consider is how often you are likely to get the best cards. The top starting hands in poker aren't common - the odds of receiving a big-suited hand (Jacks or better) are 54.3 to 1, and the odds of receiving a big-suited pair (tens or higher) are 43.2 to 1. It's a good strategy to wait for these hands in general, but be aware they might not come for 40+ hands, so when the blinds are high, don't hold out for Aces and Kings. How Good Are Your Cards? A pair against two lower cards (e.g. 8-8 vs 7-6) is 4.9 to 1 to win – the best starting odds in the game. If you have a high pair, you're in a great position. If you have two unpaired cards and you think your opponent has a high pair, you're in a lot of trouble. No matter how high your cards, if they’re lower than your opponent's pair you’re going to struggle. KQ suited or a 7-2 combination, for example, are almost equally bad against a pair of aces. A pair against any lower pair gives the next highest odds, at 4.5 to 1. In this situation (e.g. J-J vs 10-10), you’re likely to face a big pot, so be wary of playing a big hand against a suspected higher pair when you’ve got a small pair. A pair versus one higher card and one lower card (e.g. K-K vs A-7) gives the next best odds, at 2.5 to 1. If you have the pair it's good to push your advantage, but be wary of high cards on the flop. A pair versus two higher cards is even more dangerous - leaving you with only a 1.2 to 1 advantage. Even a high pair like 10-10 would have these odds against KJ. With such a thin advantage, it's almost always a bad idea to stake a lot of chips pre-flop. For hands without pairs, two higher cards have a 1.7 to 1 advantage over two lower cards (e.g. AK vs QJ), whilst a single higher card and a single lower card has slightly lower odds at 1.5 to 1 (e.g. AQ vs KJ). Again, these are slight advantages, so don’t overplay your hand before the flop. This information should help you choose which cards are worth playing, and start you thinking more about what your opponents might be holding. With practice available online for free, or at small stakes, try different combinations and see how those odds translate to real games, then test your newfound skills over at partypoker!